“The Turner House” is a moving and celebratory portrait of a family and a city in transition. The house on Detroit’s Yarrow Street has been home to the colorful and complicated Turners for more than 50 years. The family matriarch’s failing health, the declining neighborhood and an underwater mortgage force a family meeting to decide the house’s fate. Cha-Cha, the oldest son and unofficial head of the Turner clan, wrangles with his family’s past and the varied demands of his 12 siblings in this entertaining and vividly drawn family saga. In Angela Flournoy’s novel, the story of the Turners is also the story of Detroit, the Great Migration and this country’s recent economic turmoil. A graduate of the Iowa Writers’ Workshop, Flournoy received her undergraduate degree from the University of Southern California. She has taught at the University of Iowa, The New School and Columbia University. 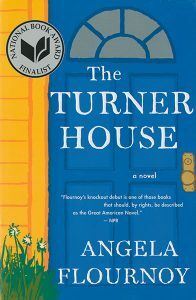 “The Turner House” was a New York Times notable book of the year and a finalist for the National Book Award, the Center for Fiction First Novel Prize, the PEN/Robert W. Bingham Prize for Debut Fiction and an NAACP Image Award. She is a National Book Foundation “5 Under 35” Honoree for 2015. Her fiction has appeared in The Paris Review, and she has written for The New York Times, The New Republic, The Los Angeles Times, and elsewhere. 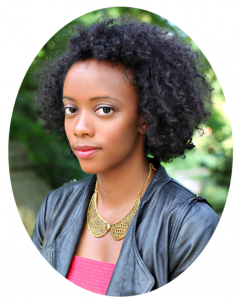 Flournoy is currently the Rona Jaffe Foundation Fellow at the New York Public Library Dorothy and Lewis B. Cullman Center for Scholars and Writers. Where is a list of the One Read September events throughout Columbia? Thank you for your question! If you hover over “Programs” in the menu bar, you’ll see a number of links to program listings, including the full list of programs as well as programs by location. There are many exciting discussions and programs coming up in Columbia.